Did you know Facebook secretly and slowly became one of the major browsers in mobile world? Yes, Facebook Web Browser that nobody ever talk about! and we can detect it for you. When a visitor click on your link in Facebook or Facebook Messenger, It does not open your website in a separate web browser (unless user has opted out from Facebook In-App Browser), It open your website inside of Facebook Apps. And most analytics softwares are simply pointing this as Chrome, or Safari. We’ve went one step ahead, and we can detect Google Search App Browser on iOS, and even Instagram Browser. We will extend this In-App browser detection for common apps as we find them. We are trying out best to show most accurate view of your visitors, removing non-human and bots from your stats. However, certain anonymity programs are known to pass out wrong information in order to mis-guide tracking apps. They are doing it for good reasons of course which is to protect users privacy, and we are not trying to decode and reveal what is being hidden, instead, Hitsteps would not show wrong browser or OS for Tor browser users. We are not decoding what is real OS, but at least, we are not blindly passing wrong information to our users. With release of Samsung Galaxy S8, Samsung has released Samsung Browser 5 which we can detect it as well as Samsung Smart TV browsers. Perhaps you noticed battery indicator level of 100% stay much longer than usual in your mobile devices and this percentage get reduced faster and faster as time goes by. You’re not alone. Your phone might show 100% battery when it is actually 90%. Why is it this way? Users behaviour varies and it depend on battery life! Imagine you are sitting on your desk, with your laptop connected to a wired adaptor and battery is 100% full. It means you are sitting on this desk for quite sometime. Sitting on same desk with 10% battery life while plugged in to adaptor, means you are just back to your desk. Likewise, being on a battery of 95% and unplugged to adaptor, means you’ve just left your desk, and 10% of battery life on a battery, means you’ve had a long day and still not back to your comfort place, your desk, where you can charge your device. This is same difference that play a strong role for differences between desktop and mobile users behaviours. You get the idea? How likely it is for a user to purchase your product when on just 5% battery left if your product is Food? or if your product is a Laptop? If you’re selling time-sensitive product like Food, your conversion rate goes higher. If you’re selling more expensive product like Laptop, your sale chance is lower. Uber reported that their customers are more likely to accept surcharge and get a ride when their users battery life is low, so should you treat users with 5% battery left and those who are on 100% battery and plugged in, same? 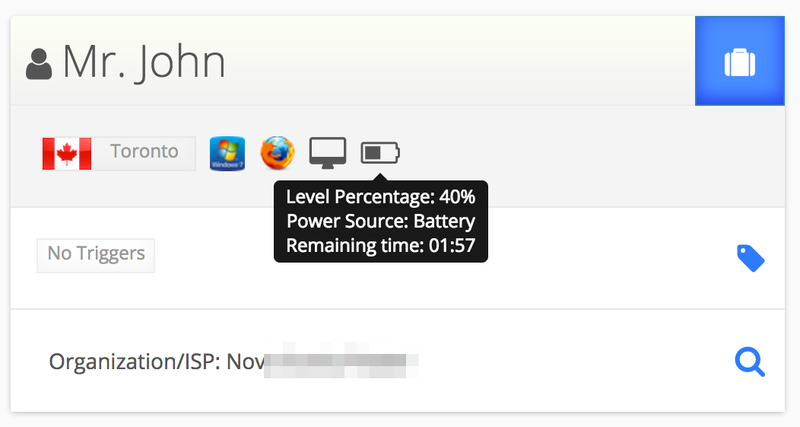 Hitsteps provide you with a tool that you can monitor each individual visitors in your website and see their current device battery life, remaining time to finish their battery to help you address them better. Be it get used for conversion monitoring, or by a live chat agent, who see customer battery is low and time to address the user before he ran out of battery is running out! Hitsteps website visitors battery life tracking tool support those visitors who are using a compatible browser and device. We’re proud to announce a new feature (currently in BETA, but available for all members) which detect type of your visitors and detect if they are a business or residential visitor. Additionally it can detect if visitors is from a government firm or from a university or school. This feature is currently in BETA as there is not a single source of valid data. we verify information from more than 3 sources to make sure all of them report a visitor as business and then marking visitor as a business user. 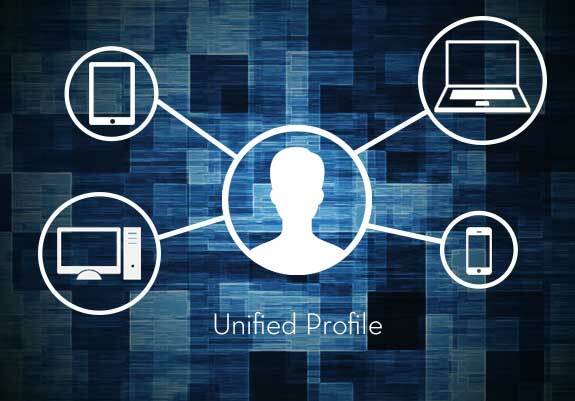 There are times each of our sources report a different data and we are enhancing our algorithm over time to be able detect user type more accurately as we go on. We match your visitors data with our companies data and provide information such as IP Address, business full address, contact number, email address, employees size and website address. You can access this feature by looking at user type icon next to their country flag (business users are marked with a suitcase) and you can see list of all business users by looking at “Companies” sub-menu under “Visitors” menu. You will see information for each of businesses by clicking on their profile. More and more websites are using videos in their homepage, product pages and other pages. Previously, tracking videos required lot of tweaks and configuration on developers behalf for each video that is going to be tracked, well… it doesn’t have to be like that! We are happy to announce one more new feature today, Automatic detection of vidoes in your website. Our tracking script is now enhanced with a video detection tool which scan your website for any HTML5, YouTube or JW Player videos or audio, and it require zero coding from your site to enable it. Now when a visitor open your website and click on a video, once they watch half of the video and when watch the video until the end, you will be updated about it in main dashboard view. 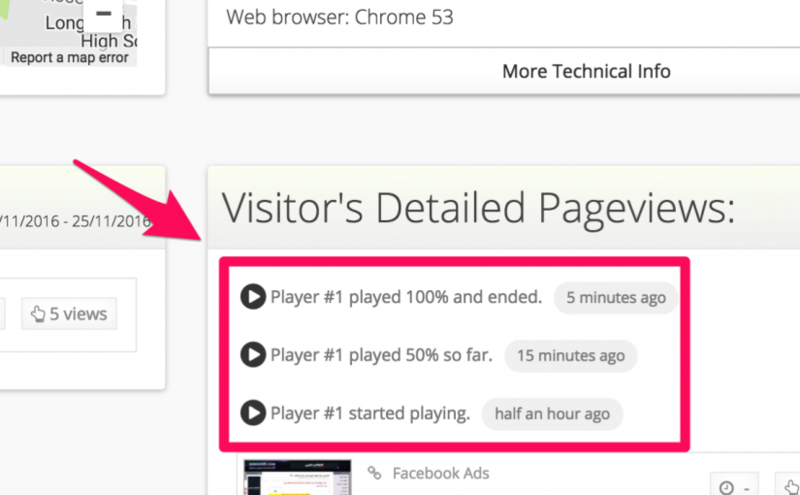 You can see this actions in visitor activity list if you click on a user too. It might take up to one week until previous tracking code get removed from your browser cache, in case you want to test this feature by yourself. so you need to clear your browser cache and enjoy viewing how it works! Since 2013, Hitsteps Analytics worked on bringing visitor management and monitoring to a new level of efficiency, tracking every move, activity, or function of relevance to your business, and analyzing data in an industry-specific manner. Our product’s beneficial effect on productivity has once again been officially acknowledged by one of popular B2B software review platforms FinancesOnline, which awarded Hitsteps with two of its prestigious quality awards and listed it among popular business intelligence solutions according to their team. Their team of B2B experts examined how different business intelligence systems meet customers’ expectations, using a standardized evaluation procedure to award and distinguish products that come closest to how an ideal BI system should perform. They were really impressed with the appearance and functionality of our software, and in their Hitsteps review they analyzed its key functions, compared it to several similar systems, and ultimately decided to distinguish it with the 2016 Great User Experience and the Expert’s Choice Award for the current year. As the experts explained, the first of these awards is usually given to vendors who ensure customers will have an enjoyable and easy-to-use system to facilitate business workflows, while the second distinguishes only top performers in the FinancesOnline.com business intelligence software reviews category who are able to offer all vital features expected from an optimal BI solution. What the team liked the most about Hitsteps is how it tracks each and every move upon the visitor’s arrival, and how it converts those insights into valuable business hints for intelligent decision making. According to them, Hitsteps is one of the rare systems that can track, analyze, and engage visitors at the same time, making it possible for a company to close deals while collecting customer information. In such way, they believe, Hitsteps can handle a dramatic increase in the number of visitors, in a process where all risk of redirecting customers on wrong pages will be eliminated. Among other things they liked, they mentioned reporting as the strongest asset of our system, and praised the idea of including downloadable entry/exit page analysis and reports that help companies retain 100% control of their operations. 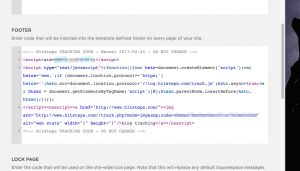 How to use Hitsteps Web Analytics & Live Chat on Squarespace? Squarespace have an integrated basic web statistics, but if you need more features, we’ve got you covered. 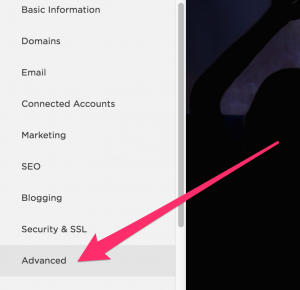 You can use Hitsteps Web Analytics and live chat with Squarespace-based websites, we’ve tested it and we provide you with instructions on how to get it running. You’ll see this page if you register for a new account and add your website. 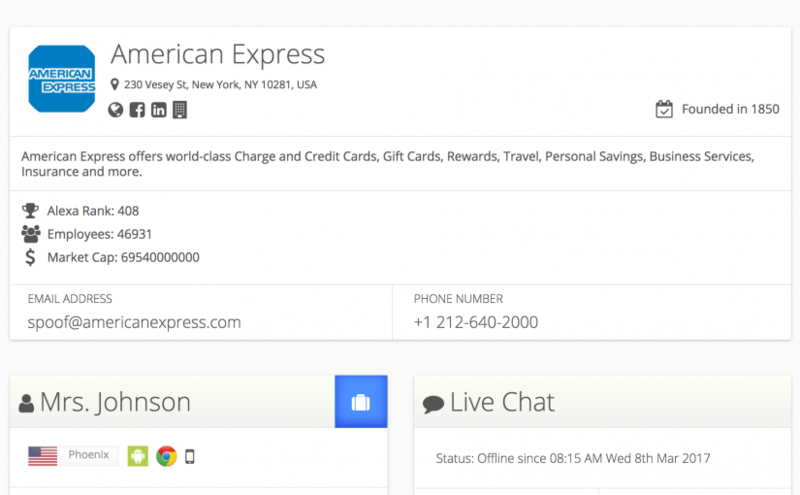 If you would like to put a live chat widget in your website too, please use code provided in Chat Widgets section in additional to tracking code. 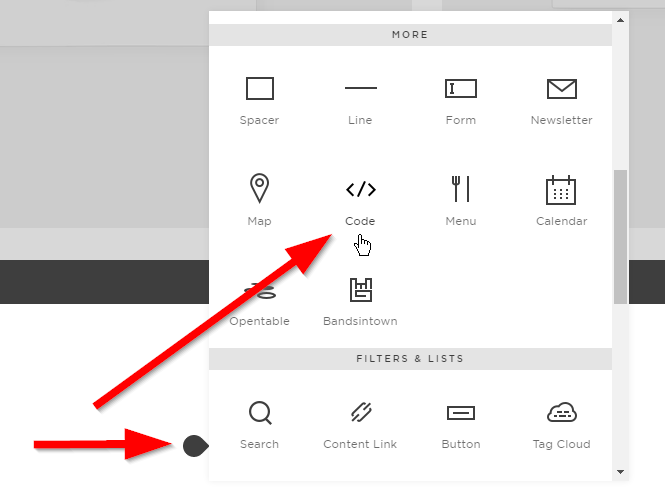 You need to put this code in footer of your Squarespace site, here’s how. And finally save the changes, and we are ready! How include your visitors details when they send you an email? We’ve introduced Contact form integration for hitsteps analytics a while ago, however lack of proper documentation caused lot of our customers still asking us how to use this feature! Here we guide you step by step on how to get it working. it is cool, isn’t it!? Go open a hitsteps account if you haven’t yet! It works with WooCommerce, Ninja Forms, Contact Form 7, Gravity Forms and even Jetpacks Contact forms! Yes, they are all WordPress plugins which we’ve integrated this function into them. 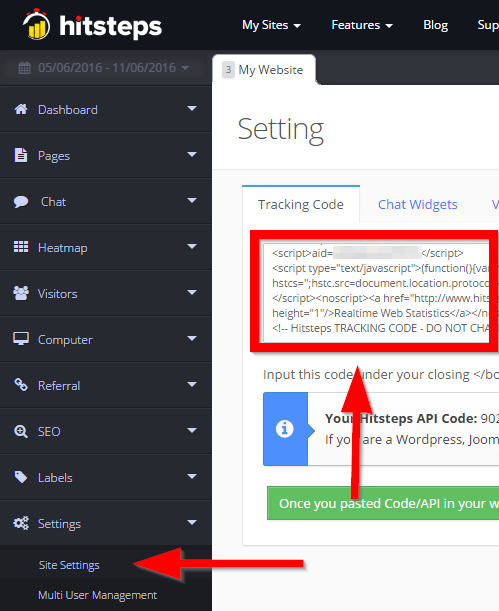 for other kind of websites, you’ll need to manually integrate and code API into your site. You don’t need to manually do anything for JetPacks to enable it too, it is enabled by default when you install and activate our plugin, you can disable it if you don’t want it from Setting > Hitsteps. There is a checkbox to disable it for jetpacks. 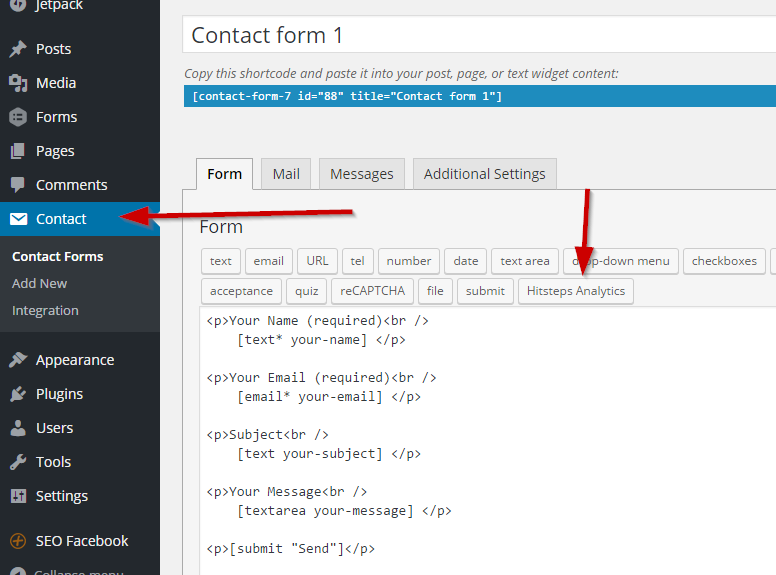 Open your form to edit, and find Hitsteps Analytics button in your contact form. A popup will open. 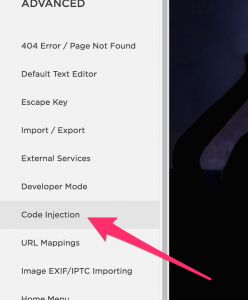 Click on Insert Tag button to inject our code into contact form. It doesn’t matter where you will put this code. it is invisible to your visitors. 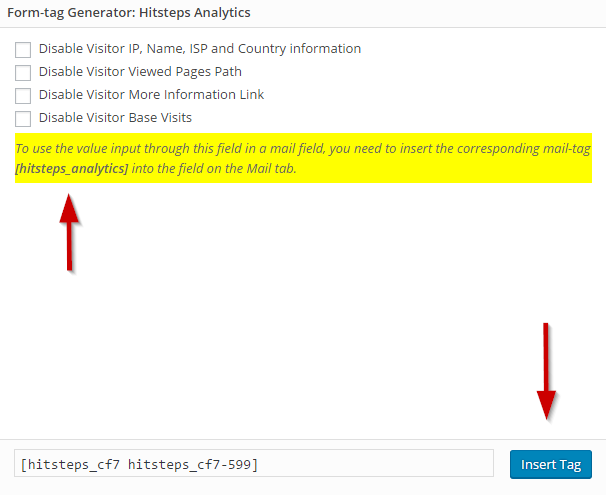 Go to Mail Tab and enter [hitsteps_analytics] wherever you want visitor information to be displayed inside of the email. 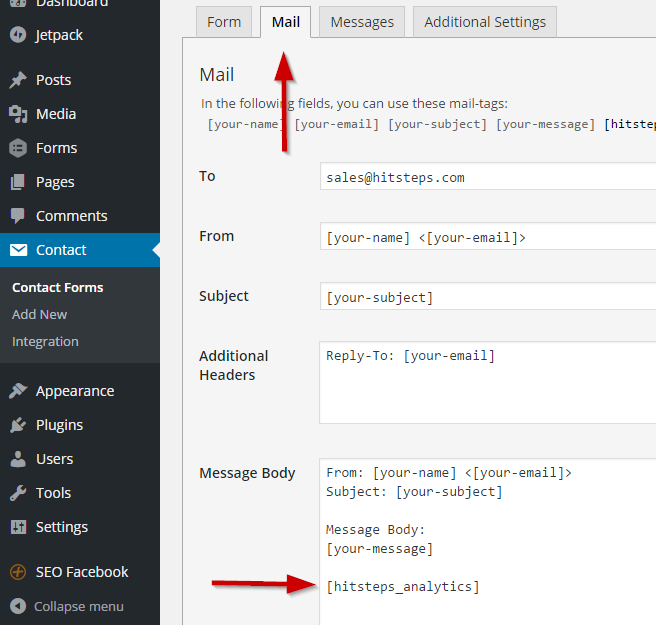 It is better to enable HTML email checkbox, so that you can receive a well organized report of your visitors. Enjoy knowing your visitors before replying to them! Go to your ninja forms editor, and you can see Hitsteps Tracker button! Click on that button and save the form! 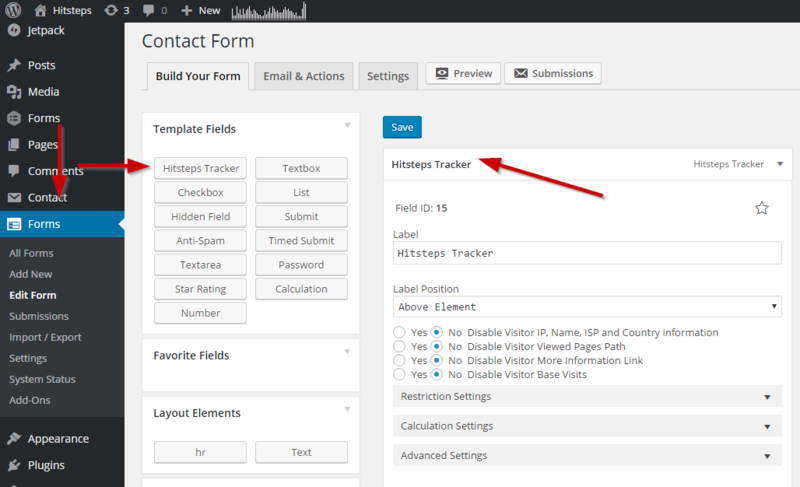 Make sure you put Hitsteps tracker as last field in your form. It will be invisible to your users. 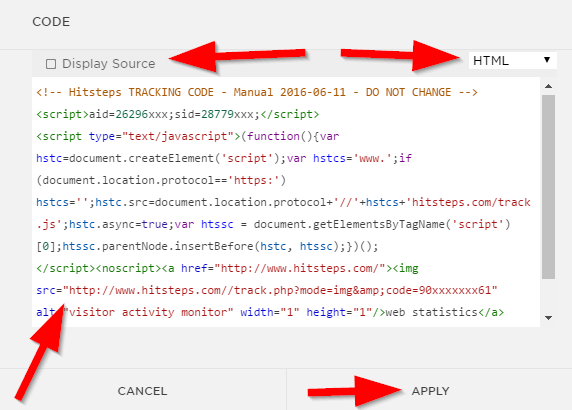 Go to your Gravity Forms Form Editor and you can see Hitsteps Tracker in list. 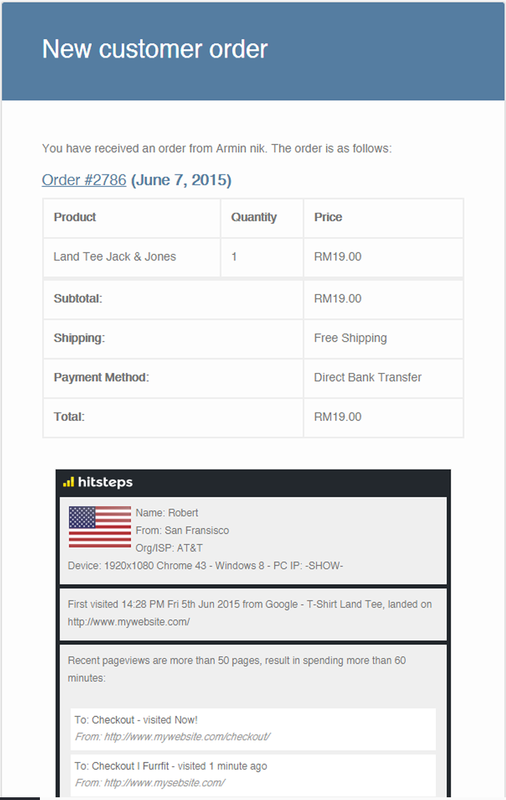 Drag hitsteps tracker into your form and Update the form to save changes. We have manual integration API for those who are not using WordPress, you need to have PHP programming skill to do it or to hire a developer to do it for you. You need to download our wordpress plugin file and look at one of the integrations, say contact form 7 and use that as documentation. Page Analysis, It make you forget about classic heatmaps! dive into Page Analysis. We have added Page Analysis under Heatmap menu in your dashboard. Zero configuration needed. You can look at number of clicks on each elements in your key and lead pages. It works with dynamic elements, carousels and even submenus. 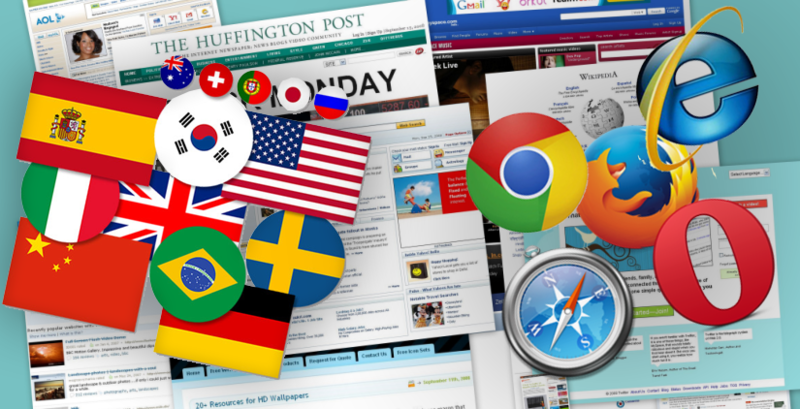 Go discover all those items you never thought your visitors would click! Why next heatmap? 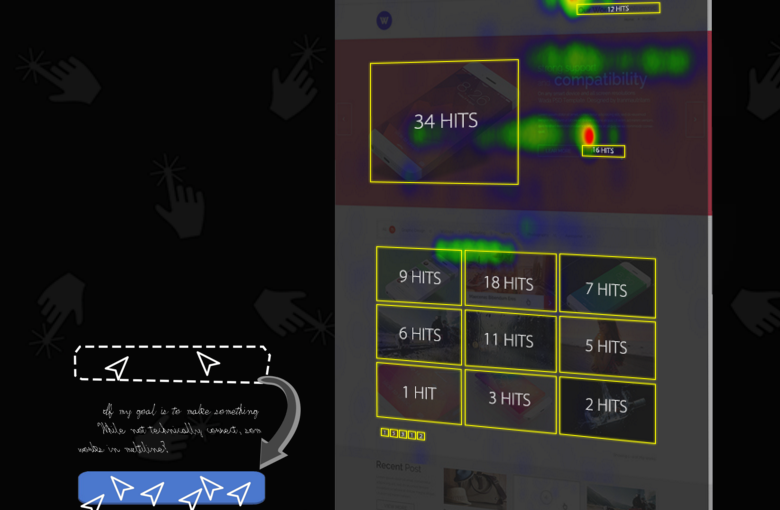 Classic heatmaps looks nice, those colorful maps that shows click spots. but what if you have a dynamic page, a popup on startup or something that get all clicks and let you keep guessing for other parts. Well, no more guessing. Now you can simply take a look at each element in your page and see how many click each of them got. 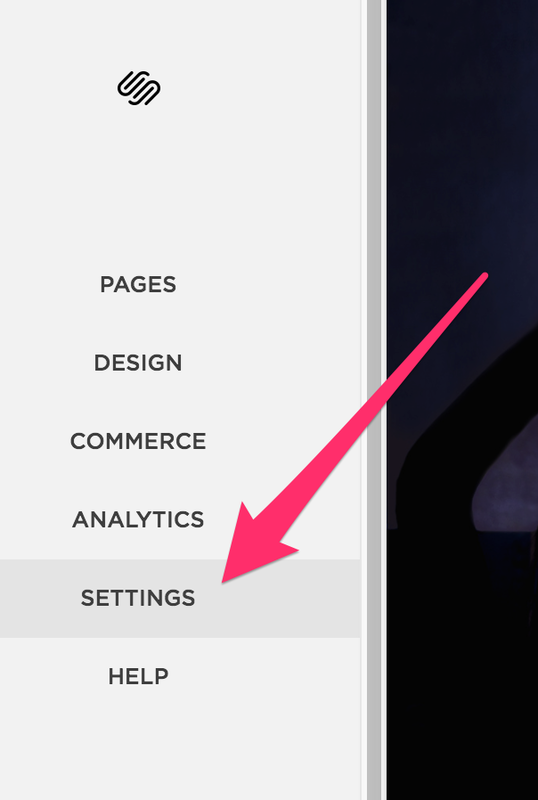 Check it now in your dashboard, it is included in your current plan if you had heatmap.